The Catit Treat Maze is a great beginner puzzle! Some kitties may be stumped by the clear plastic cover as cats are unable to focus on objects right under their noses. They are virtually blind within 12 inches from their face and use their whiskers to locate objects right in from of them like food or toys. One of the plates provided is easier than the other and they are quite easy to switch out and clean. Check out this video to see it in action! 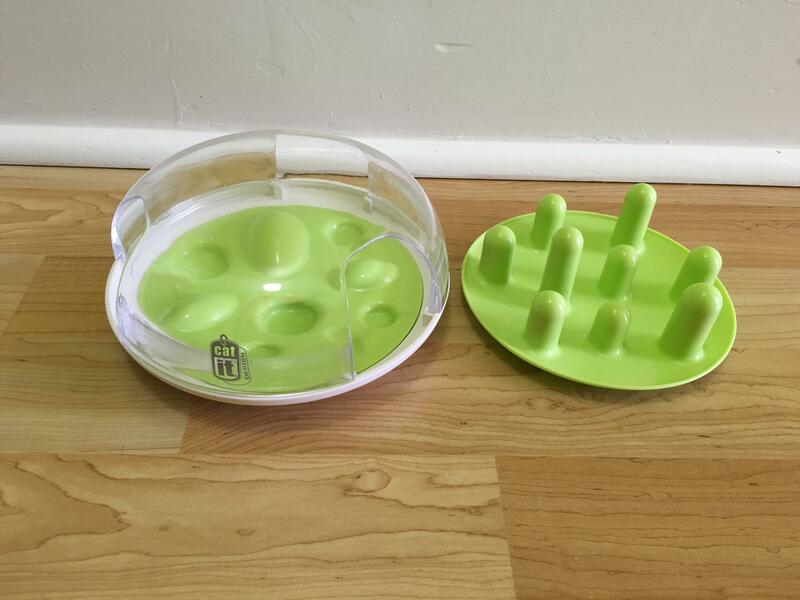 The Catit Treat Maze offers two options in one toy!